Amazon is currently giving away 110 Amazon coins worth $1.1 for Free. 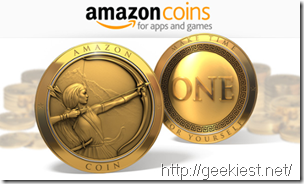 Use can use these coins to purchase digital content from Amazon. To get the 110 coins for free hop over to this link and buy the app “Jelly Splash” for free. Once you buy this app, 110 coins worth $1.1 will be credited to your Amazon account. Coming to the app “Jelly Splash”, it is developed by a well known developer - “Wooga”, who are also behind various games on Facebook and mobile platforms. “Jelly Splash” is a puzzle game which provides you 100 compelling puzzle adventure levels. While the puzzle itself is free to play, there are a few in-app purchases you could make for gaining extra moves or lives. Feel free to turn off pay features by disabling in-app purchases in your device’s settings. So grab this puzzle as well as earn free Amazon coins.